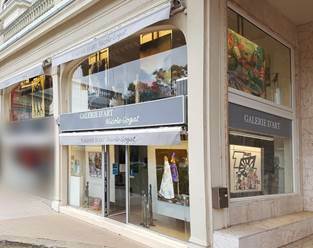 The Nicole Gogat gallery invites you to discover its selection of artists in a friendly atmosphere where passion, creativity and authenticity reign. Eclecticism is the watchword: the artists presented are before a favorite choice of the gallery, the emotion being what must guide our steps in order to be able to transmit to you the sincere artistic intention of the work and of the artist. From figuration to abstraction, the Nicole Gogat gallery offers you an immersion into the heart of the works and artists who give us emotions and allow the artistic encounter. Gallery present at Salon ArTouquet.